The Oakland Raiders traded quarterback Carson Palmer to the Arizona Cardinals on Tuesday. The Raiders will receive a sixth round selection in 2013 from the Cardinals and a conditional seventh round selection in 2014 in exchange for Palmer, according to ESPN's Adam Schefter. The Raiders traded for Palmer less than two years ago, sending a 2012 first round selection and a 2013 second round selection to the Cincinnati Bengals. 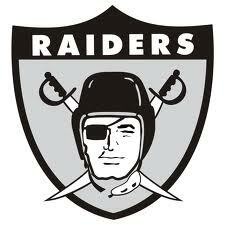 Under Palmer, the Raiders went 8-15, ultimately gaining sixth and seventh round selections for him after losing first and second round picks to acquire him. As a possible replacement for Palmer, the Raiders went after another quarterback, once again via trade, sending a 2014 fourth round pick and conditional 2015 selection to the Seattle Seahawks, per ESPN.com. Flynn has been a backup quarterback since entering the NFL with the Green Bay Packers in 2008, throwing 9 touchdowns and 5 interceptions (earning a 92.0 passer rating) with two career starts. Flynn has played well when called upon, but is hardly a proven quarterback in the league. This is the latest case of an NFL team putting a lot trust in an unproven backup QB (see: Kolb, Kevin and Whitehurst, Charlie). Such signings are touted by coaches and executives as the move that will put the team over the top, but as Kolb and Whitehurst can attest, that is rarely the case. Flynn is expected to compete with third-year quarterback Terrelle Pryor to win the starting QB gig. On a different note, former Broncos and Raiders wide receiver Ashley Lelie has joined the Nevada Wolf Pack as an offensive quality control coach. Lelie spent four seasons in Denver before ending his NFL career as a member of the Raiders offense in 2008. Jon Heath is an aspiring sports journalist who covers sporting events and professional sports teams through social media and beat coverage. Contact. This site is not affiliated with or necessarily endorsed by the Denver Broncos or the NFL. It's All Over, Fat Man! Please abide by the comment policy (keep it clean). If you are using Internet Explorer and Disqus is not loading, please try commenting with Google Chrome or Mozilla Firefox.